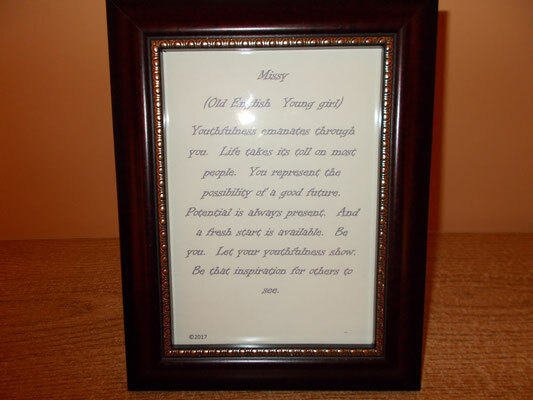 The product line includes a poem entitled "The Value of a woman". 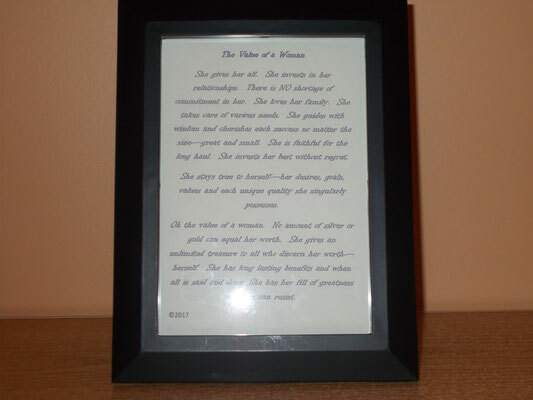 This poem expresses the value a woman has unto herself, apart from what she does. See picture 1 above. $12.95 each plus $2.50 shipping. There is also over 600 poems written off the definition of the name's meaning. Included on the poem is the definition of the name as well as the language of origin. See picture 2 above. The next product is the poem of a woman's value for being her true self, the distinct woman she is. 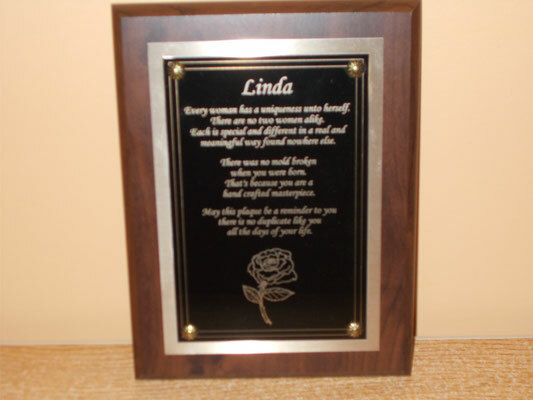 This is a professionally produced plaque. It is individualized to the lady you desire to give it to. Therefore it is a special order item. See picture 3 above. $39.95 plus $5.00 shipping.